Make the projects in Marianne Elizabeth's new book, using the fabrics shown in the book! 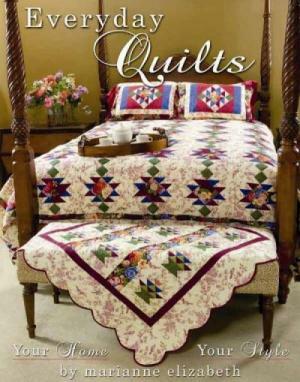 A Limited Number of Quilt Kits are available. The fabrics shown are no longer in production, so please don't hesitate! Please order the book separately. It is not included in the kit and you will need it for the patterns in order to be able to make the projects.